According to analyst company NPD Group, Apple isn’t the only one reaping the benefits of surging iPhone 6 and iPhone 6 Plus sales. The report states that iPhone 6 accessory makers have made a total of $249 million over the last two weeks. That’s 43% increase compared to the first two weeks after the iPhone 6 launch, and it’s hardly surprising. The iPhone 5c and iPhone 5s managed to accumulate $195 million of revenue for the same period with just a 17% spike for the second fortnight since launch. 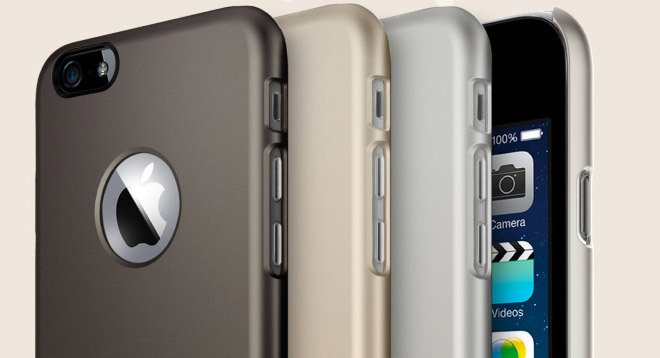 Cases are the most demanded accessories for the latest iPhone 6 duet. Their manufacturers bet on the initially leaked iPhone 6 design and as a result managed to offer e plethora of options at the phone’s launch and this proved move proved successful, according to the research. However, screen protectors are also on the rise and revenue from them grew by 120% compared to the pre-launch period. Other accessories didn’t bring so much revenue back with microphones going up by 10 percent, and Bluetooth speakers grew 5 percent.